The University Board of Governors held their ratification of the Tentative Agreement on Friday, March 17th. They voted to Ratify and thus we have a new Collective Agreement. 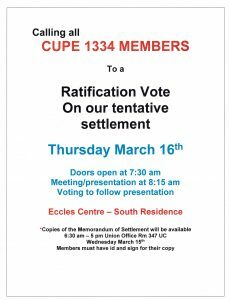 The Tentative Agreement between CUPE 1334 and The University of Guelph was ratified by the members of CUPE 1334 March 16th, 2017. The University Of Guelph Board Of Governors will be voting on the Tentative Agreement today, March 17th. An important point is that due to the Tentative Agreement, the University Of Guelph officially withdrew their notice of their intention to contract out the custodial duties of 3 buildings on the University Of Guelph Campus. This means that the positions filled by Temporary Full Time Staff Members, positions that CUPE 1334 believed would be eliminated due to contracting out, were not eliminated. Full details of the Tentative Agreement will be released once the Agreement is ratified by the University Of Guelph Board Of Governors. CUPE 1334 is proud to announce we have achieved a tentative settlement with the University Of Guelph. 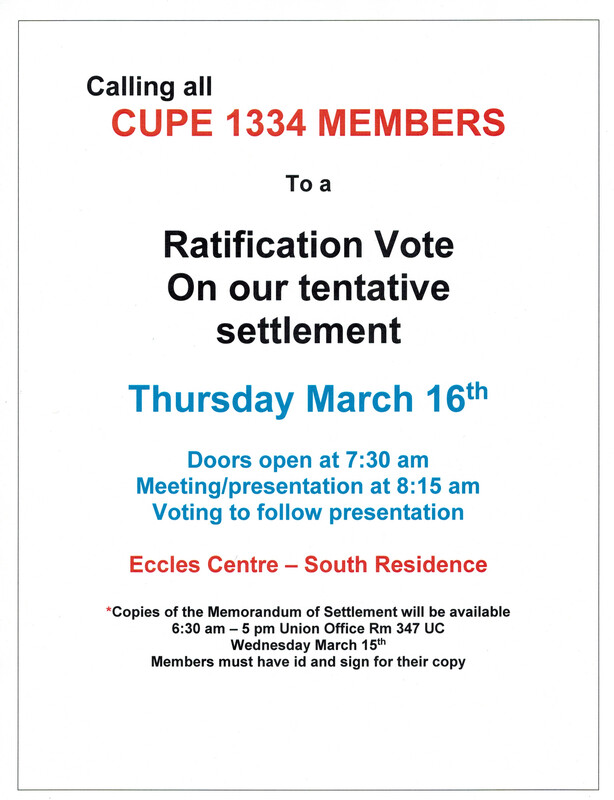 Ratification of the Collective Agreement will occur March 16th. The strong support of the entire local was instrumental in achieving this Settlement. As well, we would like to send a shout out to all of our allies and the students who supported us through the bargaining process. We couldn’t have done it without you. 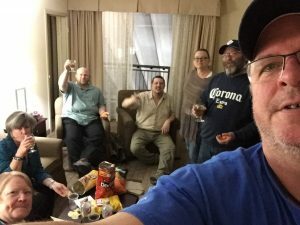 This entry was posted in Uncategorized by cupe1334. Bookmark the permalink. This site is powered by WordPress and hosted by CUPE National.